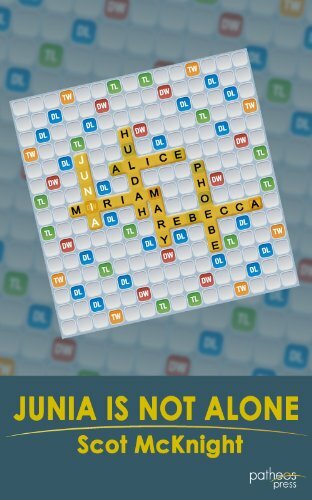 The title of this e-book introduces the reader to the fact that Junia is not an isolated case of forgetfulness. Women throughout Bible narratives—such as Huldah, Phoebe, and Miriam—have been intentionally ignored and even willfully dismissed throughout the centuries, to the point that their voices are foreign to many today. In addition, McKnight relates the stories of three women from Christian history whose remarkable achievements for God have been deleted from our awareness. He withholds these women's names until the end, cleverly drawing readers in and highlighting just how unfamiliar most of us are with their stories. McKnight's passion for this subject may surprise some readers, but he perceives this silencing of women as a deep injustice which has been perpetuated up to the present time. Consider the response of a male reader, who questioned why Scot used only examples of women in a particular chapter of his book Jesus Creed: "I don't identify with women as much as I do with men," the man complained. Scot replies by saying, "The man who thinks he doesn't identify with women needs to see that this is what males have done to women for the better part of two millennia" (p. 26). We hope the very bold statements by this popular author will reach and inspire a large audience and have the impact he intends. This e-book is a quick read and will be of immense encouragement to women who want to serve God but have been hindered along the way. Leaders of churches and theological institutions should read this excellent resource, which has the potential to open eyes that have been unwilling or unable to recognize the unbiblical restrictions on the callings of women. "It is our calling to let freedom ring—to let the Spirit use people whom God chooses" (p. 26). Amen!